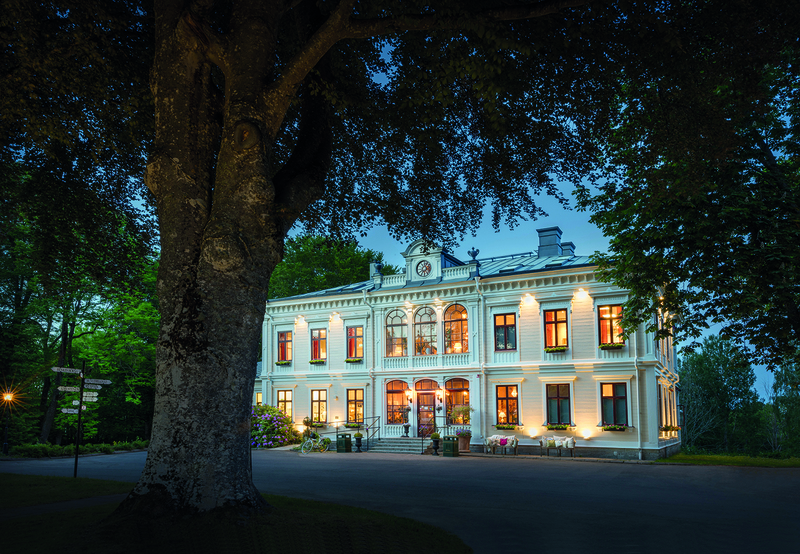 Welcome to Karstorp Hotel – the hotel by the lake. Regardless if you come to us for business or pleasure we are convinced that you will find your stay here fulfilling. The surroundings are relaxing with nature just outside our doors. The accomodation includes single, double, 3- and 4-bed rooms in total: 84 beds and 30 rooms. All our rooms have WC with shower, TV, telephone and comfortable beds! During your stay here you are free to use our gym, there is also a relax-area with saunas available for bookings. Karstorp has a first-class restaurant with a menu made from all the best seasonal ingredients. Here we serve lunch and dinner (please note that pre-booking is essential). We also arrange weddings, birthday parties or office parties – or any other celebration you might have in mind. The Hotel also offers a range of conference options where we can accomodate groups of up to 200 guests. Our facilities contain18 fully equipped conference rooms of different sizes to suit any meeting requirements. Don’t hesistate to contact us for more information or reservations?